Looking at a different way to impress on your next date? Or maybe it’s that very first date and you want to think outside the box aside from a dinner date, well your luck is in as we have put together a few great date ideas to earn them brownie points for effort and thought. EXPLORE our guide to a Date with a Difference. How about a little bit of fun in the water to break the ice? The Liverpool SUP Co is a business based here in Liverpool, providing Stand Up Paddleboard lessons, sessions and courses. This fantastic idea sees people getting active while enjoying the great outdoors, also being a low impact sport means, everyone can get involved! The sessions are a great way to get active together while having tons of fun, let’s face it whether your good or terrible at waters sports you’re sure to have a splashing time on your date. To score added brownie points if your date partner has a pooch as a pet, their four-legged companion can also join in the session, 10 out of 10 for originality we say! Liverpool SUP Co is based at the Liverpool Watersports Centre, Marniers Wharf. Let’s face it, there’s nothing more beautiful than EXPLORING your own city, especially one like Liverpool. How about enjoying a day trip cycling to some of the beautiful areas the place has to offer with your date? Bringing that European feel to the date, this idea is sure to impress as well as being active and gaining knowledge along the way! 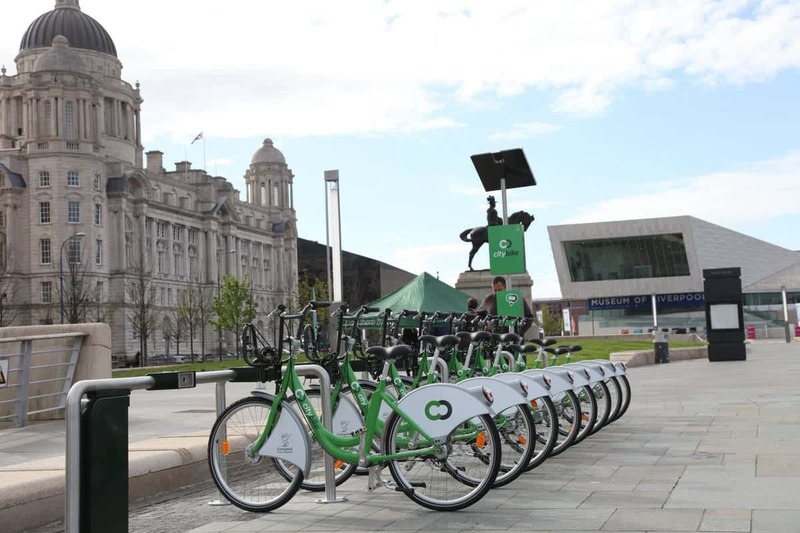 City Bike have more than 130 stations to make your way across town, venturing from the City Centre, Otterspool Park, Sefton Park Lark Lane, Isla Gladstone Car park to other various places even as far as towards Liverpool John Lennon Airport. Also, for as little as £3.00 per day, this cheap and cheerful but fun date can save extras pennies for your next date sure to be sealed after this thoughtful date. Another creative yet fun idea for that all-important date with a difference is some scary shenanigans on a ghost tour! Shiverpool is Liverpool’s multi award winning theatrically led ghost and history tour experience, exploring the city’s most famous locations and revealing their hidden histories and mysteries. Shiverpool introduce their creepy historical findings in a series of stunning theatrical performances presented by our Spirit Guides who consistently astound, chill and entertain even the most sceptical of cynics. Some scary stories and antics are sure to have the date end on a high and strike up some funny conversations afterwards. We know that going the cinema is a bit of an old school date, but going to the flicks has never looked so good now that the Everyman Cinema has arrived in the city. Bringing a luxury menu as well as service to your seat, long gone are the days of fidgety seats and struggling to carry your popcorn, large drink and your body weight in treats. Standing out from all the rest, this brand-new concept of movie watching is sure to bring that spark back, sure to a hit and ease them first date jitters! Comfy sofas instead of your usual cinema chair and seat service brought to you while awaiting your film to begin, certainly ticking all the boxes on impressing on that special date. With an amplitude of beverages ranging from beers and ciders such as Moretti, Estrella and Old Mout, the cocktails menu offers delightful refreshments such as Passionfruit Daiquiri, Raspberry Candy Fizz and Mojito. The menu also has a large selection of wines as well as soft drink options and milkshakes, something to quench everybody’s thirst. This new style cinema is definitely turning the old school concept on its head and is sure fire to be a winner. Who doesn’t love indulging in some sweet treats? Well Smash It Ice Cream is literally sure to be a smash hit of a date! Offering the sinners of the sweet tooth world the naughtiest desserts in town, you and your date can choose your all-time favourite goodies and have them smashed and bashed into a wonderful ice cream treat to die for. From waffles, milkshakes with a twist, sweet burritos to ice creams mix ins, you’re sure to be giving the look of love for this idea. The venue located on Burlington Street also offers screening of classic films on their big screen as an added bonus to that date. Also, with candy boxes available, purchasing one at the end of your date visit can score bonus points for your thoughtfulness. Arrange a breakfast date with a difference and head down to Tiny Rick’s Café located on Smithdown Road. We all know breakfast is the most important meal of the day, so treat your special one to a great big bowl of tasty cereal while battling it out on one of your favourite board games! 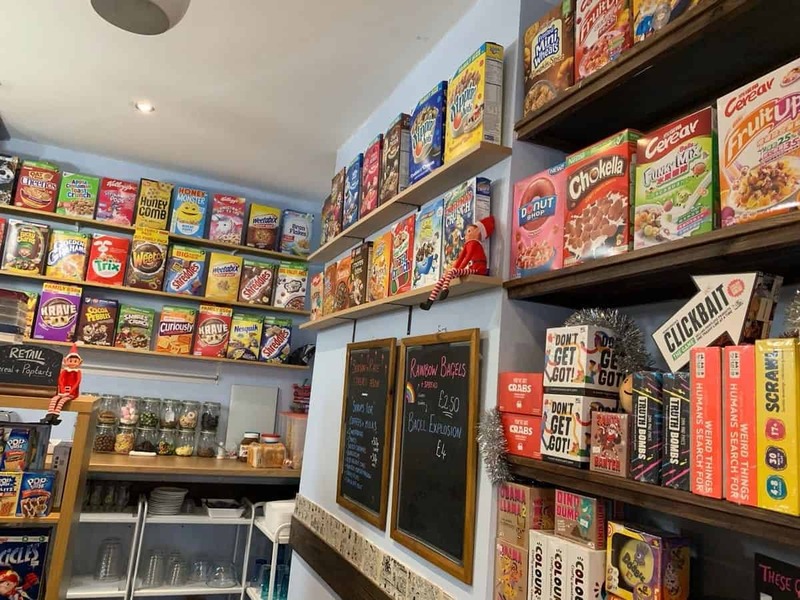 With over 400 board games to choose from as well as close to 100 cereals from across the globe, cereals are served in dessert-style cocktails with several toppings – either pick from the menu or create your own perfect bowl. This date will have you striking up loads of conversation, whether that be choosing which cereal to devour or which board game you are going to battle it out over, this date will be full of fun and quirkiness and also see who’s the competitive one out of you both!